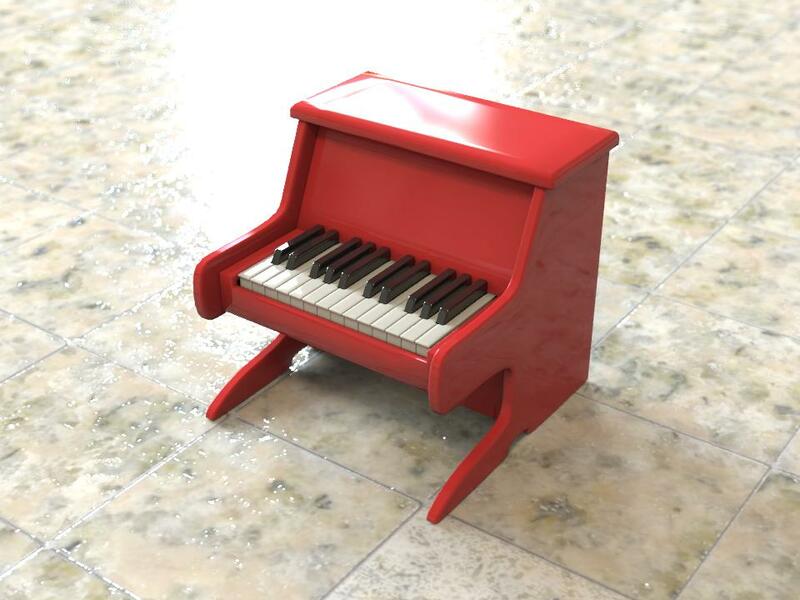 At last I did something with the toy piano, which was sitting on the WIP section for too long…. 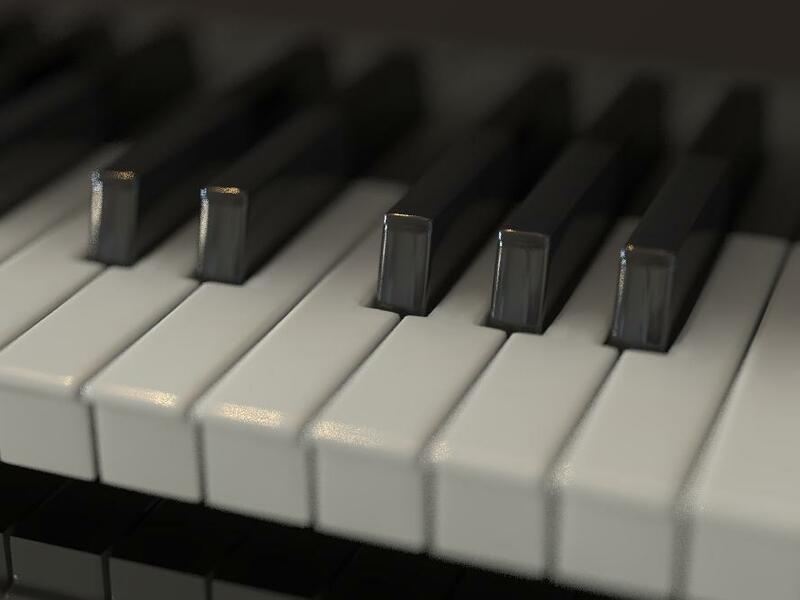 It all started two years ago, when I tried to model a piano keyboard octave, just the keys only. 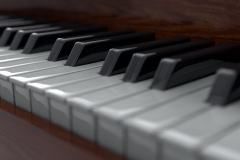 The black keys were really difficult, and I never figured out a good solution for the front bevel. 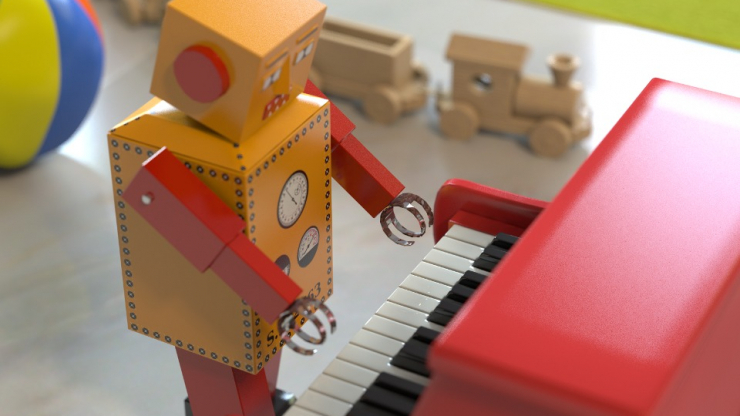 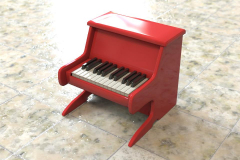 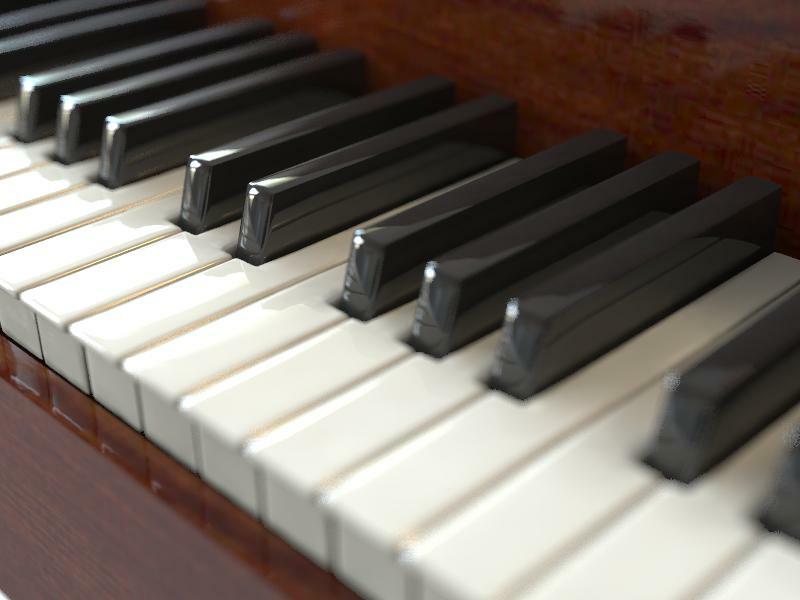 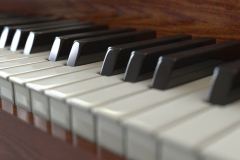 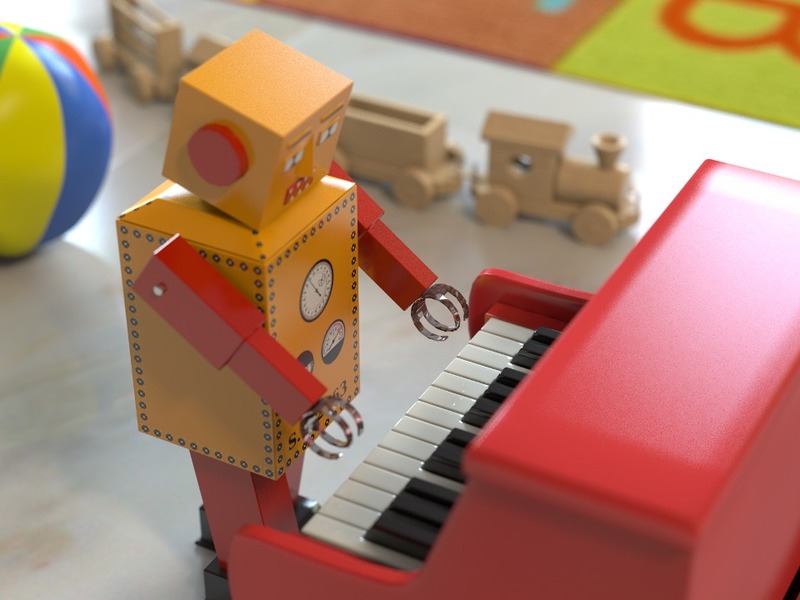 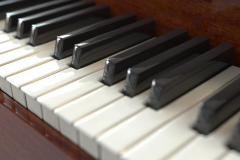 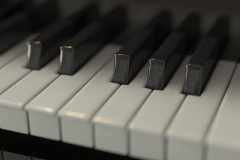 Anyhow, when I managed to model the keys more or less convincingly, I was too bored to model a full piano… The solution was to reduce the complexity, so I modeled a little toy piano. 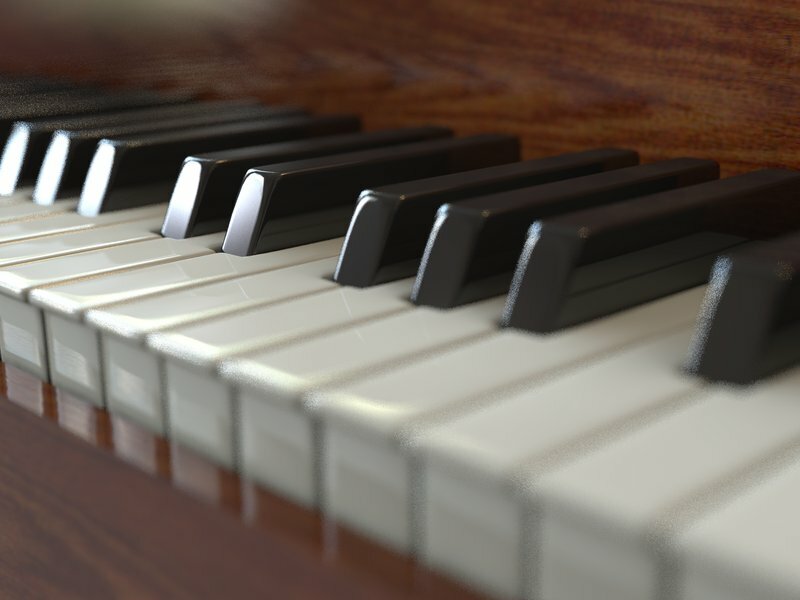 To complete the effect, I quickly copied and pasted my old train toy, and modeled a bumpy plastic ball with Wings3D. 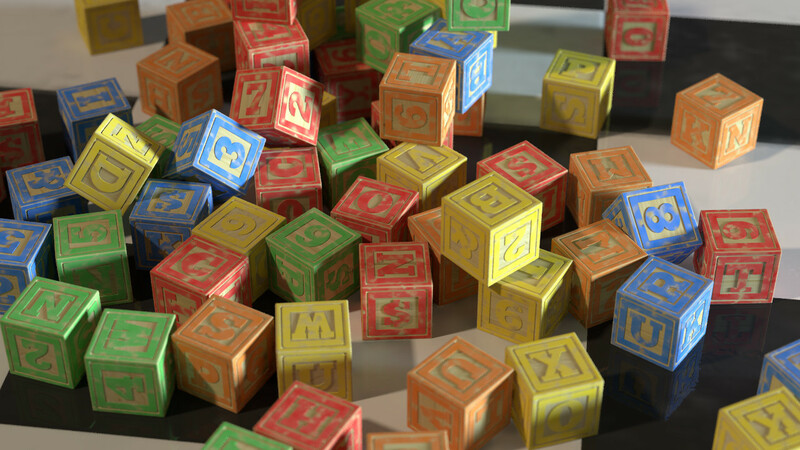 Some micronormals were added everywhere and, after 5 hours, the focal blur did it’s job.